Please read all of these terms carefully. By continuing to use our website, you agree to be bound by them. In certain circumstances, additional terms and conditions may apply. All information is available in large print, audio and Braille on request; please contact us for further details at the address detailed below. You are responsible for making all arrangements necessary for access to our website. We grant you access to our website on a temporary basis. We may change the arrangements for access to, deny access to, close or suspend part or the whole of our website or any services we may offer on our website, at any time, for any period of time, and for any reason without telling you beforehand and without liability. We do not guarantee uninterrupted and/or reliable access to our website and make no guarantees as to its operation, functionality or otherwise. Please keep your username, password and any other information relevant to your access to our website confidential. You must not give this information to anyone. We are the owner or the licensee of all intellectual property rights and data in our website and in material published on it, including the ‘look and feel’ of our website. These rights are protected by laws and treaties around the world. The information contained in our website has been published in good faith and we will do our best to ensure that it is accurate, but in some cases it may be incorrect, incomplete or out of date. Save to the extent that we are required to do so under our statutory/regulatory obligations, we are not obliged to keep our website content accurate, complete or up to date and shall not be responsible for pricing, typographical, or other errors on our website. The content of our website is not intended to amount to advice so please do not rely on it. You may print or download/save one copy of each page of our website for your personal references purposes. You may download/save (and print, if required) any information we expressly make available for download on our website a reasonable number of times for your personal references purposes. copy, scrape, distribute, reproduce or modify any material printed or downloaded from our website. You must not use any illustrations, photographs, video or audio sequences or any graphics from our website separately from any accompanying text, or remove any indications of ownership. Where there are no indications of ownership you must acknowledge our status (and that of any identified contributors) as the authors of the material. post or publish any copies or downloads of materials which come from our website on any networked computer, or make any statements or undertake any actions which could result in liability for us. use any illustrations, photographs, video, audio sequences or any graphics from our website separately from any accompanying text, or remove any indiciations of ownership. Where there are no indiciations of ownership you must acknowledge our status (and that of any identified contributors) as the authors of the material. assist, encourage or permit any other person to do any of the acts described above. All the above are forbidden regardless of the means used, including but not limited to, hacking or by the introduction of any worms, trojans, virus, unauthorised, malicious or harmful code or other harmful software (viruses). Some of the acts described above may be criminal acts under the Computer Misuse Act 1990. We will try to ensure that our website is free of viruses, however, unfortunately due to the inherent risks associated with using the Internet we cannot guarantee that it is. It is your responsibility to protect your computer against viruses and ensure that you log off shared computers after using our website. we may disclose such information to law enforcement authorities as we feel is necessary. You may create links to our website, provided that you: only create links from websites owned by you; create the link in a way that is fair and legal and does not damage our reputation or take advantage of it; do not suggest any form of association, approval or endorsement on our part where none exists, or which implies that any of the content of our website is your own or licensed to you, or which otherwise amounts to framing. We reserve the right to withdraw linking permission at any time without notice and to employ such measures as are necessary to remove any linking or framing to our website. Such websites, and third party services, are not under our control and we are not responsible for their content. If you have any queries about such websites, you should contact the operator of the website. We recommend that you always check the websites’ terms and conditions before you use them. As far as is legally possible, all aspects of the contract formed in respect of your use of our site shall be governed by English law and the parties agree to the non-exclusive jurisdiction of the English courts. In some circumstances the laws where you are domiciled may apply and the courts where you are domiciled may have jurisdiction. We operate our website www.cheshire-sarteam.org. 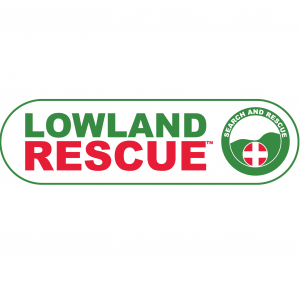 Our full registered Charity name is Cheshire Search and Rescue. Our registered Charity number is 1105454 and our postal address is Cheshire Search and Rescue, 4 and 5 Rex Building, Alderly Road, Wilmslow, SK9 1HY.